Philippa Crichton has been involved in the beauty, health and skincare industry since 1985, when she qualified as a beauty therapist from the London Institute of Beauty Culture in England. She has had her own skin care centres / spas since 1987, first Ladyborn and then Dermaborn, so has invaluable experience in the successful managing and marketing of them. Philippa has always been very involved in the industry, serving on first the Saihbth (South African Institute of Health and Beauty Therapy) board and then becoming president of SAAHSP (South African Association of Health and Skincare Professionals) and the BHSEA (Beauty, Health and Skincare Employers Association). 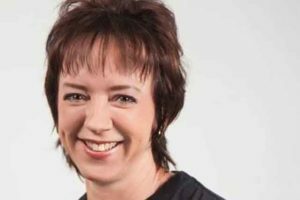 She has also been an examiner for SAAHSP and sat on their education board for many years, being heavily involved in the setting of standards for the industry. 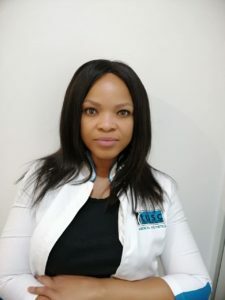 Shamiso is a medical anesthetic therapist with an international Diploma. She has been in the anesthetic industry for the past 12years and has worked for some of the best companies in the industry. She has acquired a lot of knowledge and experience in various skin conditions and specializes in advanced anesthetic treatments. Pam has been in the Beauty Industry for 9 years, and has gained lot of knowledge and experience within the industry. 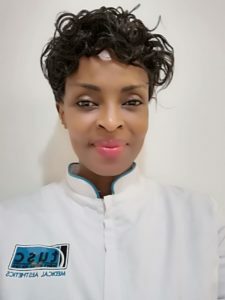 She’s qualified in a variety of Skincare and Body treatments, as she’s now works as an Aesthetics therapist. Pam passion in her profession guarantees the clients maximum results.